An acquired brain injury is a brain injury that results from an accident or illness, most commonly from falls and motor vehicle accidents. Many brain injuries suffered by children and youth also result during recreational activities and sports. 'Acquired brain injury' excludes injuries that are hereditary, degenerative or congenital. Brain Injury Canada reports that over a million Canadians are living with brain injury. In fact, the incidence of brain injury is greater than the number of cancer victims or victims of spinal injury. However, the effect of a brain injury goes far beyond the sufferer, as families of victims typically make significant accommodations, often long-term or permanently, for a loved one who is brain injured. In fact, the role of care-giver and support person often goes to the parents of the accident victim – 70 percent of caregivers are over the age of 50, according to the Ontario Brain Injury Association. Local communities throughout Ontario offer online access to resources and information to help brain injured persons and their families. If interested, you can find out about upcoming events by searching on ‘brain injury’ and your community. May 4 at Hamilton Convention Centre – Learning about current evidence, research and strategies pertaining to concussion injury and brain injury rehabilitation. May 11 at Compass Restaurant in Oakville - "Une Affaire de Chocolat" fundraiser to raise money for programs for brain injury victims and their families. May 24 at Toronto Marriott Bloor Yorkville Hotel – “Understanding the Healing Brain”: Learn about the latest research and results in neuroplasticity, and how new treatments are helping brain injury survivors. "Une Affaire de Chocolat" in Oakville on May 11th is jointly sponsored by the Brain Injury Association of Peel and Halton (BIAPH). BIAPH provides local resources, support programs for victims and families in Oakville and surrounding communities, and promotes initiatives such as the Helmets on Kids program. If you or a loved one sustained a brain injury in an accident, call a knowledgeable Oakville brain injury lawyer for an honest assessment of your case and find out about your legal options for needed compensation. 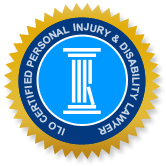 Our lawyers have helped many families who sustained losses due to an acquired brain injury and we will keep you informed throughout the claim process as we work zealously to get you the compensation you need. Previous Post: Plaintiff awarded Damages after tripping and falling on a Sidewalk under Construction Next Post: Watch out for Motorcyclists!